Added on 24 September 2018 . By Olivia Cheves. 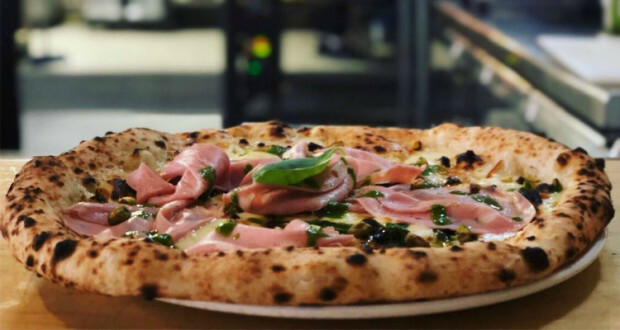 Having made a name for itself both at home and in the international Where To Eat Pizza Guide, Manchester's favourite pizzeria, Rudy's, is making its way west to Liverpool. The independent chain that already has two restaurants in their home city will be bringing chewy bases and delicious toppings to Castle Street alongside some great cocktails and stylishly stripped back interiors. Like any great local eatery, Rudy's maintains a relaxed and friendly approach to service with a walk-in only rule and a simple menu - but it's certainly not lacking in options. From the spicy n'duja sausage on its Calabrese pizza, to the smoked mozzarella and wild broccoli of the Affumicata, the options here are varied but streamlined. The same goes for their drinks list, which offers a small but intriguing range of cocktails from a cynar gin fizz to a blood orange mimosa.